Enjoy this private 5-hour tour to Pearl Harbor/Arizona Memorial and Honolulu City. First, go to one of the United States' most important historical sights. You will travel in comfort on board an air-conditioned minivan and learn about the atrocities that happened there. You will also get a tour of Honolulu city, including a visit to Aloha Market Place, The Business District of Honolulu, and Iolani Palace. This tour also includes a professional guide and entrance fees. USS Arizona Memorial marks the resting ground of 1,102 of the 1,177 sailors and Marines killed on USS Arizona (BB-39) during the Japanese surprise attack on Pearl Harbor on December 7th, 1941. This attack on Pearl Harbor and the island of Oahu led to the United States’ direct involvement in WWII. The memorial was built in 1962 and is currently visited by more than 2 million people every year. It is operated by National Park Service and the entry tickets for this historical site are free of charge. The only downfall is that the lines in front of the Visitor’s Center are several miles long starting at 5:00am every morning. Your tickets will be reserved and secured to ensure your visit goes as planned. Your tour guide/private driver will pick you up in a luxury Mercedes Minivan from your hotel in Waikiki or else where on the island. Your tickets will be reserved in advance and you don't have to worry about waiting on line in front of the visitor center. 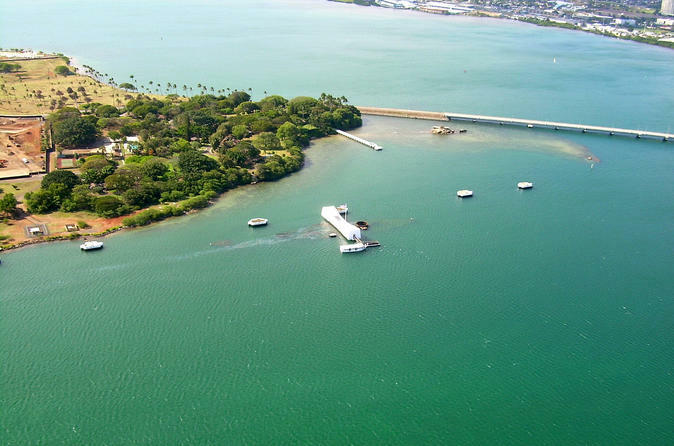 Your driver will accompany you during your visits to USS Arizona Memorial and will make sure that you utilize your time in the best possible way without getting lost among the many options available in Pearl Harbor.